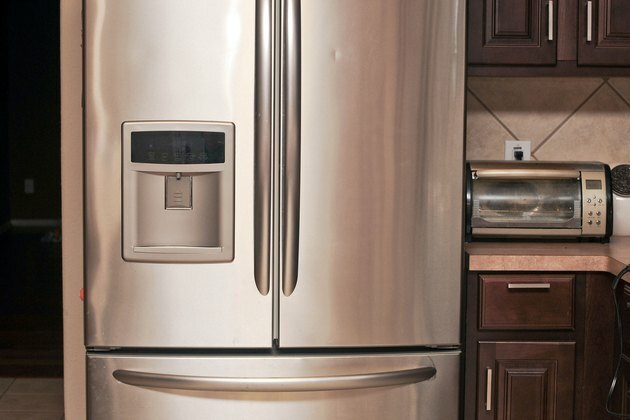 A gleaming new stainless steel refrigerator adds buyer appeal to any kitchen, but even a single dent can significantly reduce its wow factor in much the same way that a dent can mar the finish on a new car. Auto body technicians often disassemble parts to pound dents out from the back, or they use suction cups to pull them out. 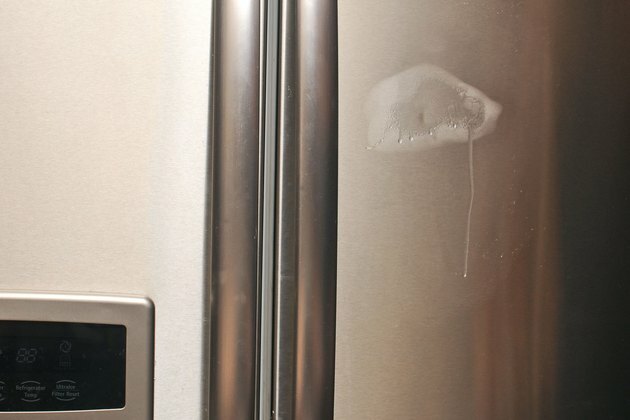 You probably don't want to disassemble your refrigerator, though, and while a dent puller will probably work, there's an even easier approach. It involves heating and cooling the metal to coax it into regaining its original shape. Wash the area around the dent with soap and water to remove grease, which could absorb heat and frustrate your dent-removal effort. 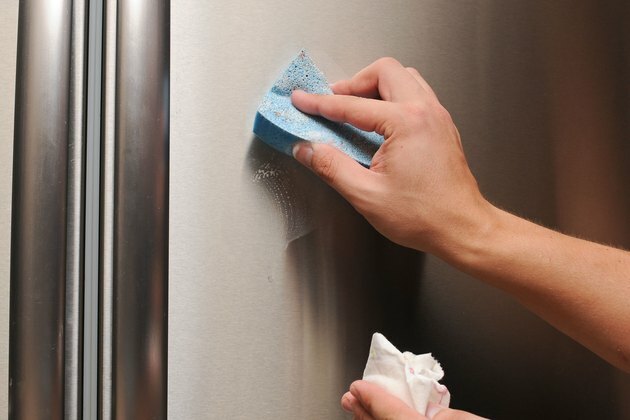 While you're at it, you might want to take the opportunity to clean the entire refrigerator. 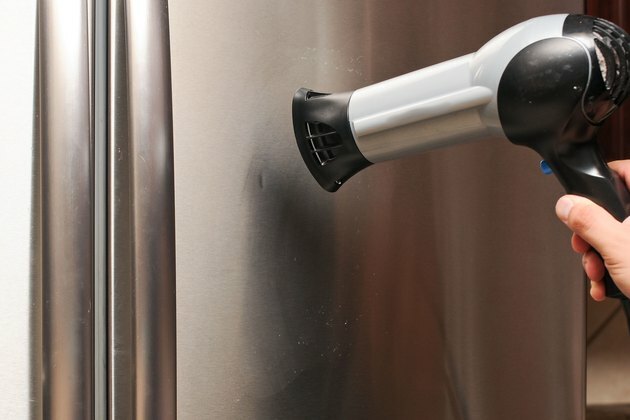 Set a hair dryer on high, turn it on and heat the area around the dent until it is warm. Don't overheat it; it should remain cool enough to touch. 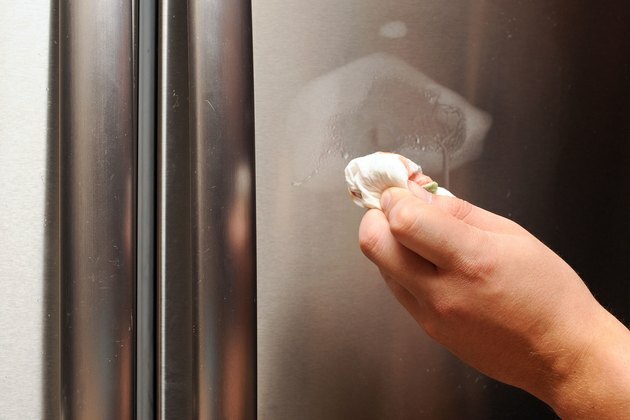 Turn a 10-ounce air duster, which is a can of compressed air, upside down and hold the nozzle about an inch away from the refrigerator. Spray the air generously over the entire surface that you warmed. 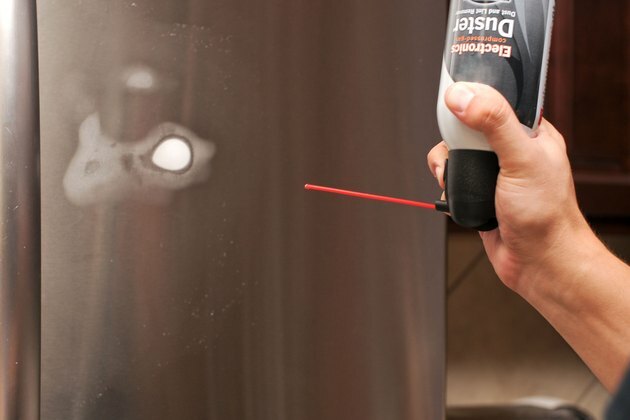 Spray the can's entire contents on the dent. A thin sheet of ice should form on the metal. Wait for the ice to melt and evaporate. As it does, the dent should disappear. 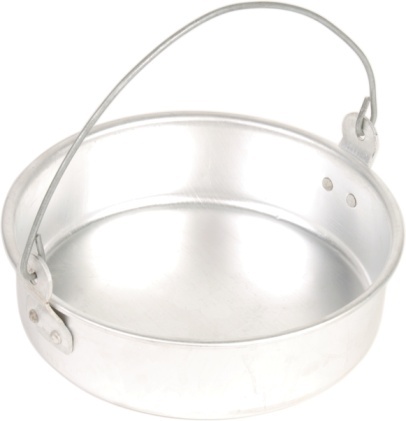 It does this because the metal, which expanded when you applied heat, quickly contracts, and seeking tensile equilibrium, it regains its original shape. Substitute dry ice for the compressed air, if desired. Wearing dry ice gloves, wrap a small piece of dry ice in a rag and twist the rag to make a handle. After heating the dent, hold the dry ice against it for about 30 seconds, then remove it. The dent should suddenly pop out.